Welcome to this weeks series of Frankie Wears. If you missed the previous Frankies Wears features, see them here and here. 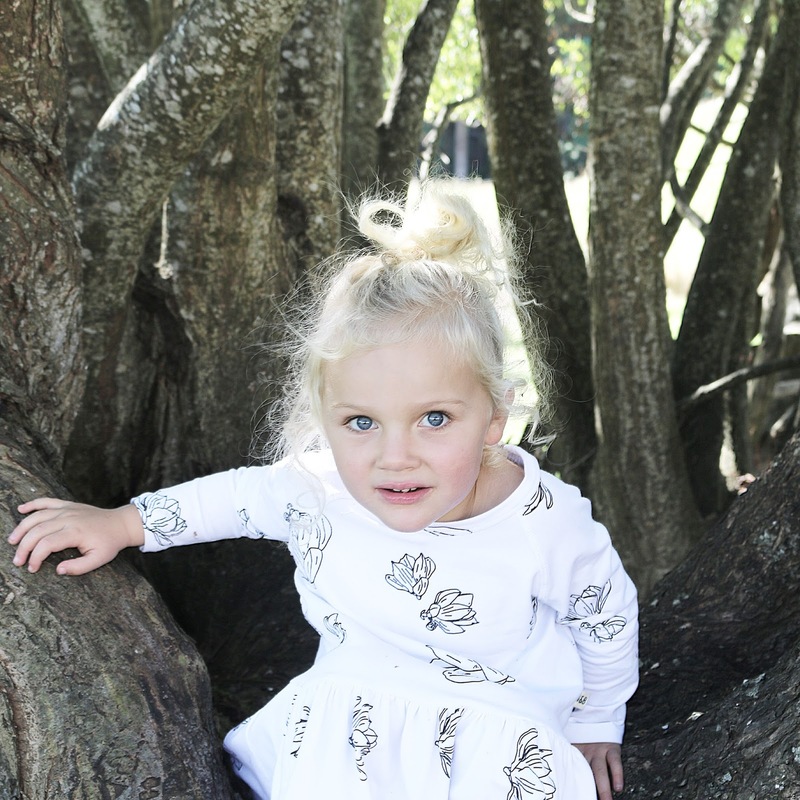 Today we had the pleasure of featuring Frankie in the amazing Noah & Bowie bow dress in white that was sent to us from So Beau Baby. Made from a beautiful organic stretch cotton. Frankie called it her dancing dress because it twirled like a dream. Cute in the winter with tights. We have had an amazing response to this series, Frankie Wears, so far. You guys seem to be loving it. I never wanted to put my children in front of the camera but Frankie is a bit of a performer and naturally thrives on this sort of thing. 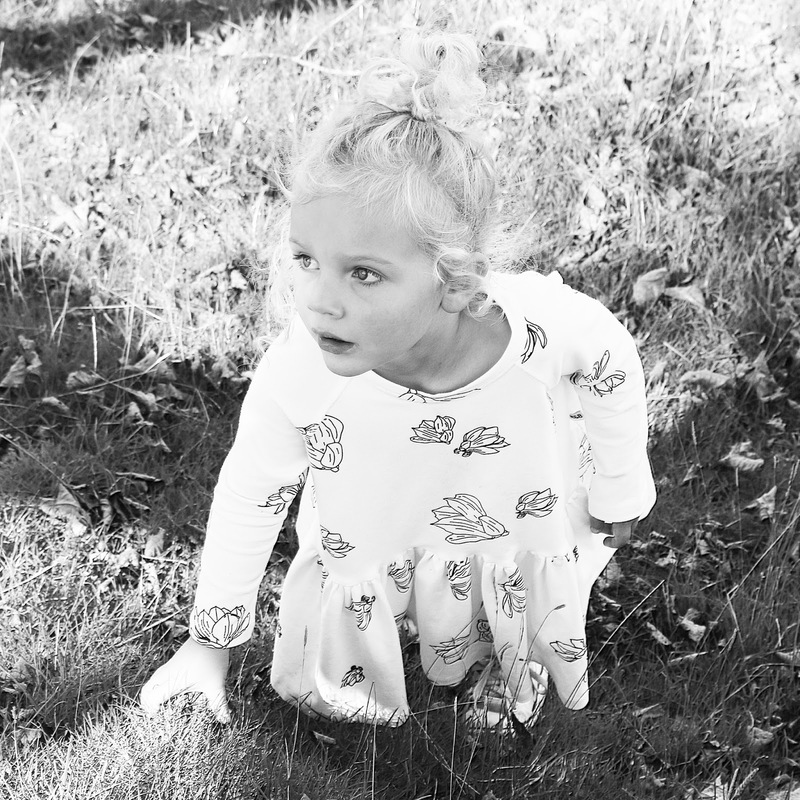 These photos are simply taken on our daily walks, only Frankie is wearing a gorgeous dress and loves it. Patchy is there too but I don't want to put him out there at this stage hence the reason I don't post many pictures of him. If you own a childrens clothing label or clothing store and you are interested in finding out more about being apart of our new series Frankie Wears and feel that your aesthetic fits with Milo and Mitzy, please email me on miloandmitzy@gmail.com. A huge thank you to So Beau Baby. An incredible store with some amazing brands on board.